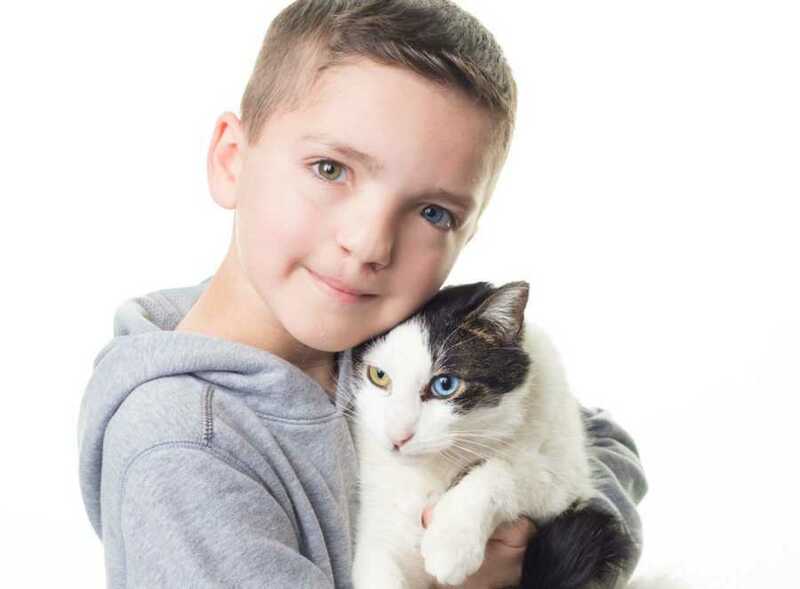 Having a true best friend is always something good, and the Oklahoma boy we will talk about here, found his best friend, which is a four-legged and furry animal – a cat that has its eyes colored differently. The boy Madden Humphreys, who is silly, energetic and playful, is simply like every normal kid. However, despite these typical characteristics, there is actually something that makes the kid extraordinary. 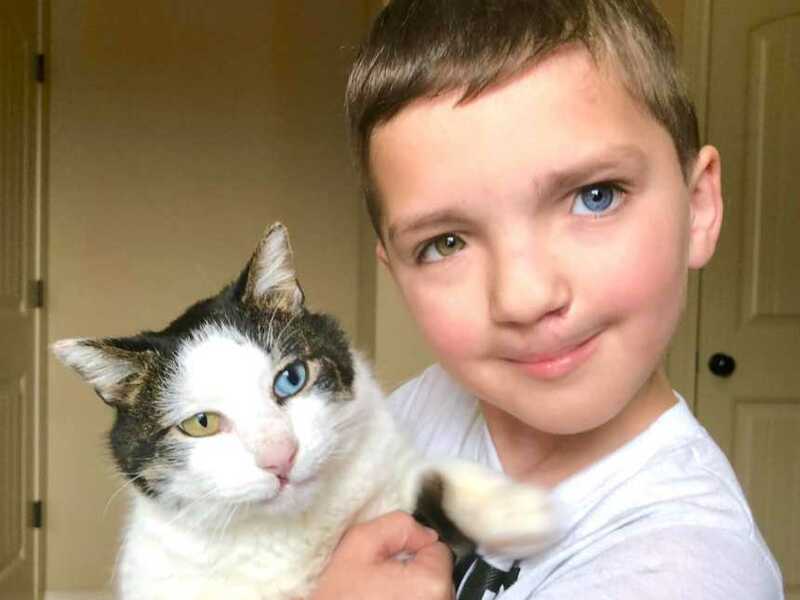 The boy has a so-called bilateral cleft lip, and also a condition which is known as complete heterochromia iridum, which actually is different eye color. This means that the eyes of the boy are colored differently from one another. In the case of Madden, he has the right eye colored blue, while the left eye colored green. 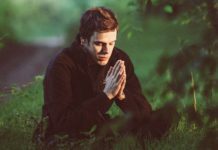 A few celebrities such as David Bowie, Keifer Sutherland, and Mila Kunis, have this same authentic condition. However, what was actually supposed to be considered as a special characteristic became an obstacle to the boy. Madden was constantly bullied at school as of his difference, and he felt isolated. He was not able to see anyone else around him that possesses the same characteristic as he possessed. However, that was until his cat, named Moon, came in his life. The mother of Madden, named Christina Humphreys, shared the unbelievable story about the cat that became a member of their family. She explained that all started from a picture of this cat, which was posted by her friend in their cleft moms group. The little kitty has been rescued in Minnesota, by one rescue group. She said that they immediately knew that the cat was destined to form part of their family. Heterochromia iridum – the condition in which people have their eyes colored differently, particularly the iris’ part. However, in the case of Madden, his eyes have an entirely different color, which classifies the condition as complete. This is quite a rare condition, which happens in only less than one percent of the world’s population. The other condition, cleft lips, is a condition which affects a smaller number of individuals. Because of this, finding a person or animal, just like the cat, that has exactly the same condition too, is something unbelievable. 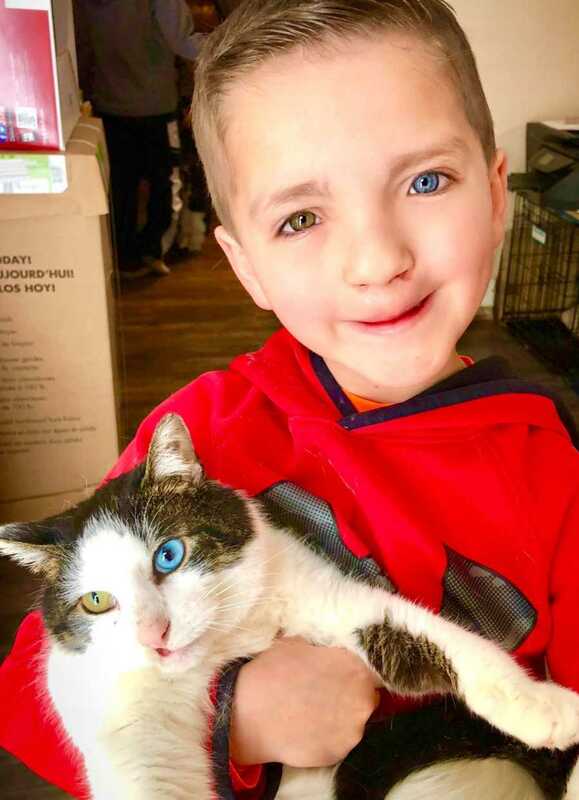 The parents of Madden managed to travel to Minnesota, with several good helping them with the funds, in order to adopt the cat with eyes colored differently. His mother confessed that she knew her whole family would love the cat, although they were not spontaneous people. She even said that the kitty Moon and her son are incredible companions for one another. 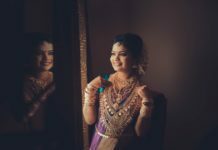 She also said that the way the things actually turned out stunned her, and she was not able to think of a logical explanation other than luck and fate. With the newfound friendship, she wishes that one day, her son will realize a one really important thing. Before the appearance of Moon in his life, the boy went viral because of the anti-bullying video which respects differences and even encourages individuals to show kindness. The video has been made right after Madden was bulled when traveling home on a school bus. Moreover, now that he has Moon next to him, he will not feel alone.